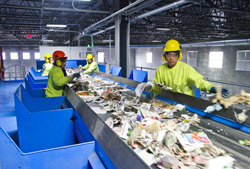 The CP Group, San Diego, CA, has announced the acquisition of Advanced MRF, also in San Diego. 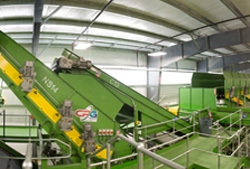 Advanced MRF is the fourth company CP Manufacturing has acquired since 2003. 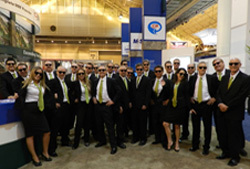 The CP Group consists of CP Manufacturing, Krause Manufacturing, MSS Optical Sorters, IPS Balers, and Advanced MRF. Advanced MRF, a Siemens Solution Partner, is an expert in optimizing Material Recovery Facilities through system automation, providing highly developed industrial automation and control solutions. Richard Price, Advanced MRF General Manager, is bringing his 25 years of experience to the CP Group. The CP Group engineers, manufactures and installs material recovery facilities for residential recycling, municipal solid waste, waste to energy, construction and demolition, e-waste and green waste. CP realized that the addition of a company experienced in industrial automation was the way to bring together its already powerful family of industry-proven companies. Intelligent motor control systems offered by the CP Group has many benefits for customers. Increased uptime, decreased human error possibilities, decreased energy usage, increased productivity, proactive troubleshooting, increased safety, and operating greener and smarter are just a few. With the acquisition of Advanced MRF, the CP Group now directly integrates state-of-the-art control systems and plant-wide seamless data acquisition. The CP Group is the first manufacturing company in the industry to offer plant-wide integration of commonly separated processes involved in the handling of waste and recyclable material. With the addition of Advanced MRF to the CP Group, the 4 equipment manufacturing divisions will have technological synergy. CP Group management recognizes by adding the application of energy-efficient industrial automation technology to their material recovery facilities offers improved turn-key solutions to the waste and recycling industries, placing them in a league of their own. The integration of the intelligent automation technology with mechanical separation equipment, optical sorting technologies and baling components makes everything act as one system. Richard Price, General Manager of AMRF states, “We are very excited about the merge, the talent we will gain, as well as the dynamic products, services and features that we will be introducing as we move forward”.